Buckwheat tends to be associated with soba noodles, Brittany crepes and kasha (Russian buckwheat grains). While buckwheat is tends to be associated with wheat, it is in fact not a wheat at all or even a grass. 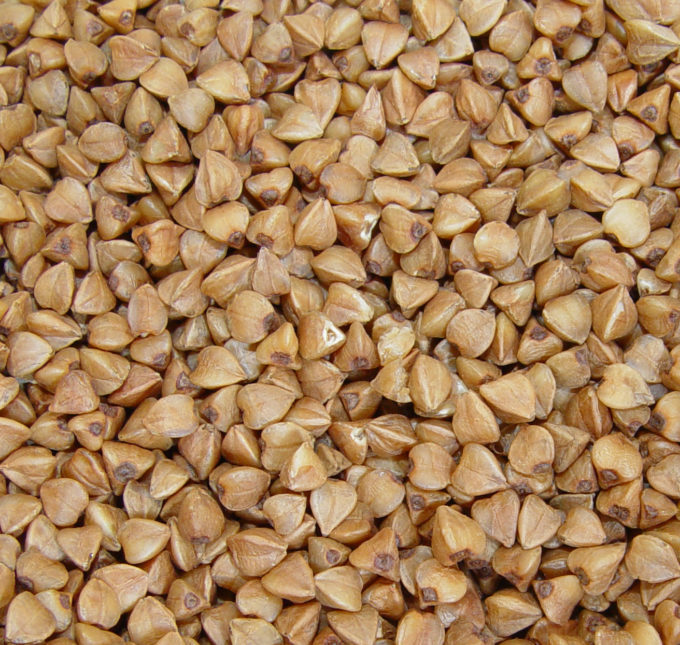 The seeds of the buckwheat are a cereal which are related to rhubarb and sorrel and are enjoying a surge in popularity as they are gluten free. In the Alps of the Lombardia (Valtellina), Trentino Alto-Adige, Veneto and Friuli Venezia-Giulia, buckwheat pops up on menus in bread, polenta (usually mixed together with corn and called polenta taragna), frittatas (schmarn di grano saraceno), pasta (pizzocheri), soup (zuppa di grano saraceno), dumplings (canederli di grano saraceno), pancakes (cicc and sciatt), in cakes sandwiching jam like the one below and on its own cooked with milk and served with browned butter and syrup. 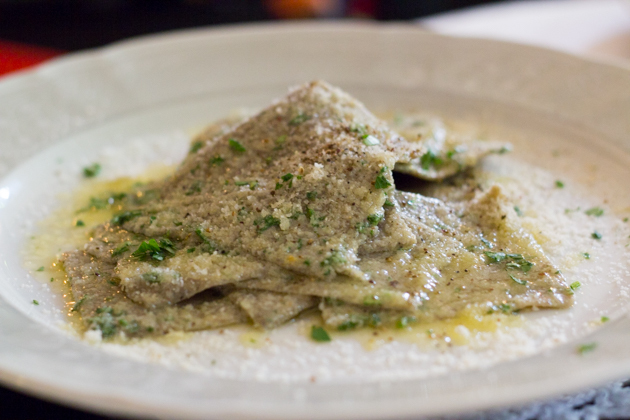 In Italian, the word for buckwheat is “grano saraceno” meaning arab wheat. It is hypothesised that perhaps the Arabs introduced buckwheat to Italy and so it was named for them. Another supposition is that it was named thus for its dark colour. Buckwheat has a nutty, earthy flavour that is deeply comforting. It was historically considered a food for the pure as white refined flour was considered more refined. For farmworkers, buckwheat was nourishing and provided the calories needed for high energy work. Today, buckwheat is thought to calm the nervous system and benefit the intestinal system. Buckwheat cake is a deeply satisfying cake that everyone, including celiacs, can enjoy. Butter and flour a cake tin. Heat the oven to 180C. Whip the butter, egg yolks and 150 grams of the sugar until soft and fluffy and has lightened in colour. In a separate bowl, mix together the buckwheat flour, almonds, vanilla and baking powder. Add this to the butter mixture. In a clean bowl, whip the egg whites with the remaining 100 grams of sugar to stiff peaks. Take a spoonful of the egg whites and stir it through the buckwheat mixture. Fold the rest of the egg whites into the buckwheat mixture. Pour the mixture into the prepared cake pan and bake for 45 minutes or until a wooden stick poked in the middle comes out dry. Le the cake cool. Cut in half horizontally and use a cake lifter or clean board or cardboard wrapped in foil to lift the top half off. Spread lingonberry jam across the bottom half and put the top back on. 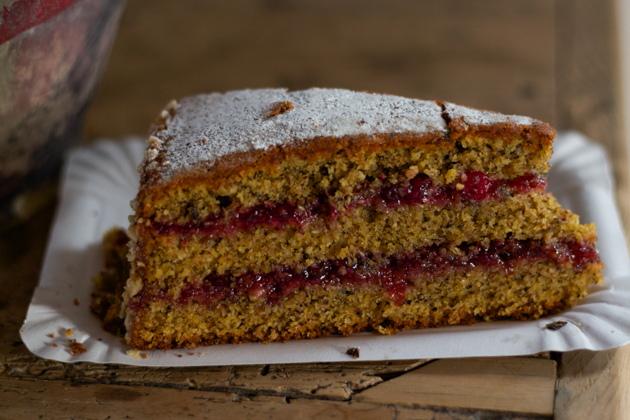 Alternatively, the cake can remain intact and the jam spread across the top of the cake. Sprinkle the top with icing sugar and serve with whipped cream.